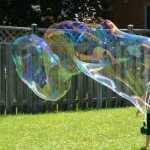 Do you remember making huge and awesome bubbles with a bucket of water mixed with dish soap when you were little? 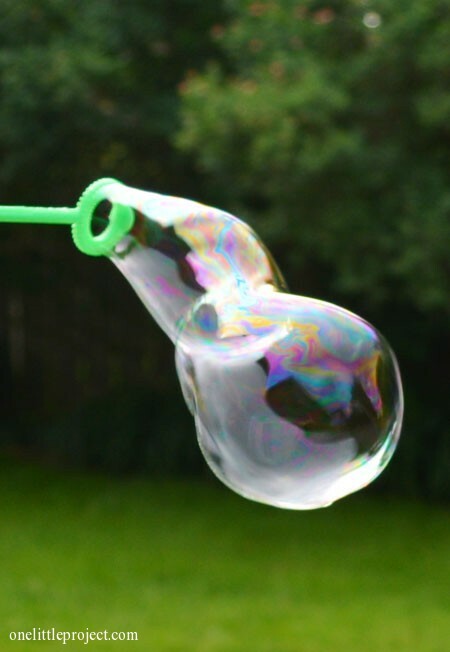 I remember we used to tie a string to a stick and we’d easily make these cool and giant bubbles! I don’t know if dish soap is different now than it was 25 years ago, but it doesn’t seem to be as simple as I remember it being? I have had zero luck with mixing random amounts of water and dish soap, so I’ve had to resort to using a bubble recipe to get decent bubbles. 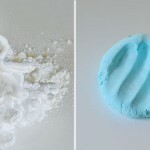 This recipe makes super strong bubbles that you supposedly can hold in your hand if you are wearing a glove. It really is too bad that we didn’t have a glove handy because that would have been really fun to try! 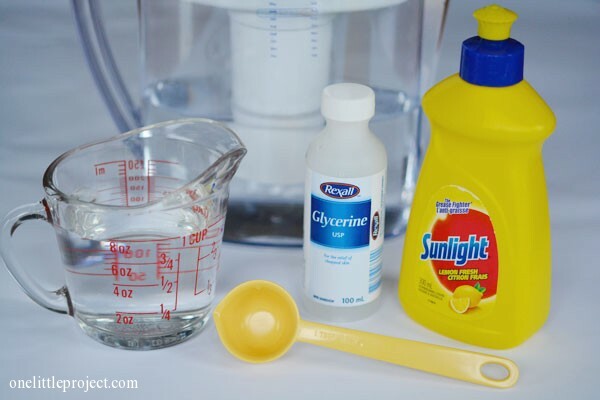 This is the recipe from Steve Spangler Science except I only had Sunlight dish soap, not Dawn. 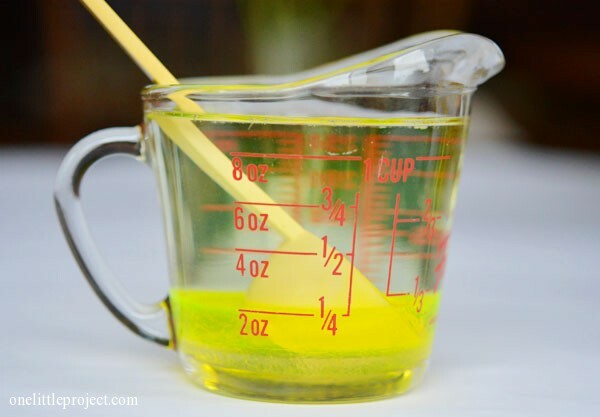 And as an aside, I highly recommend mixing this in something bigger than a 1 cup measuring cup! I had to make the switch to a bigger bowl when I realized I couldn’t stir it without making a huge mess! 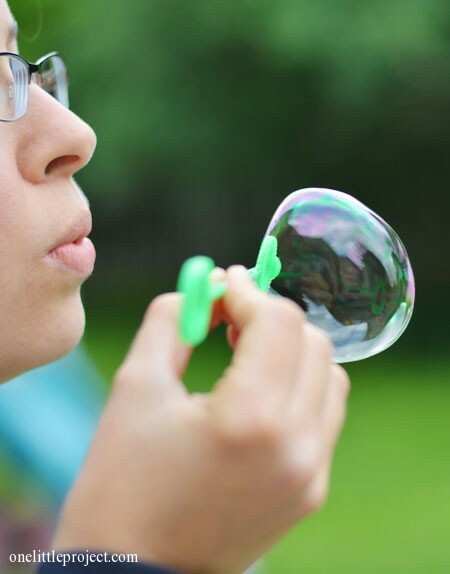 We waited the recommended 24 hours (okay, actually only 22 hours) before we used our homemade bubble solution and I have to say, it did make really good bubbles! 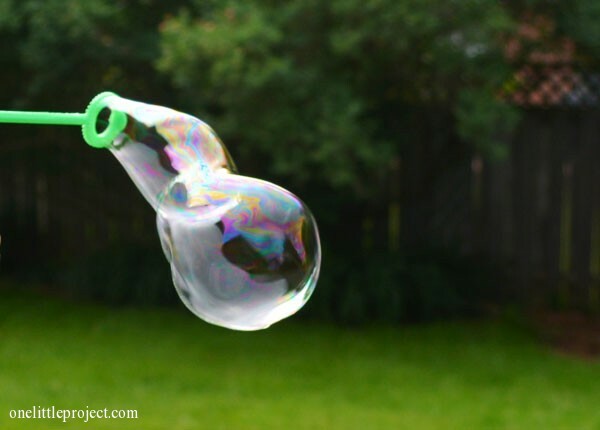 I definitely recommend giving this bubble recipe a try! 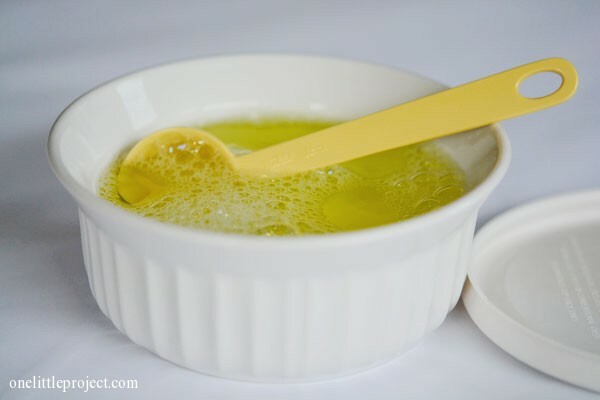 When we go to make it again, I’m going to try it with distilled water and see if we can make it even better. 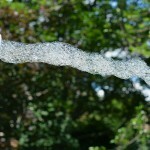 If you are making homemade bubble solution, I definitely recommend using a recipe. Last year we tried a few times to make our own bubble recipe by adding random amounts of things and it just didn’t work out at ALL. I didn’t think we’d actually get good bubbles out of this recipe, but I was definitely pleasantly surprised! awesome! Will have to try this with the girls this week, since they’re such big fans of bubbles lately 🙂 Thanks! 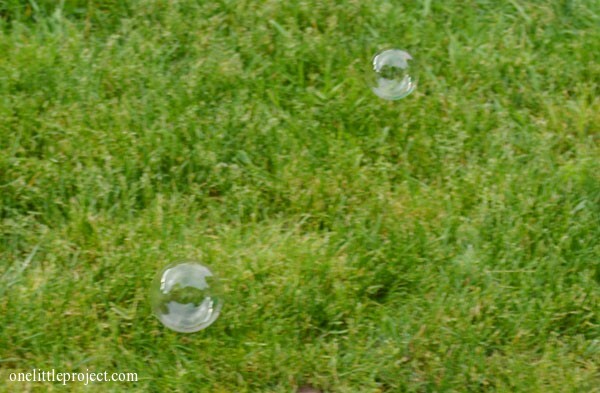 I have to try this too with my kids, they love bubbles! I didn’t know you could get glycerin at the pharmacy. That will come in useful when I make this recipe. 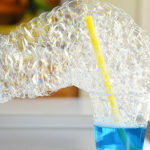 Those bubbles are so big and look so fun! Thank you for linking up to the Thrifty Thursday link party! My toddler wanted to play with bubbles just this afternoon and our dishsoap-water solution was astoundingly bad too. So glad you’ve made a “recipe” to share. I’ll have to give it a try, for sure! 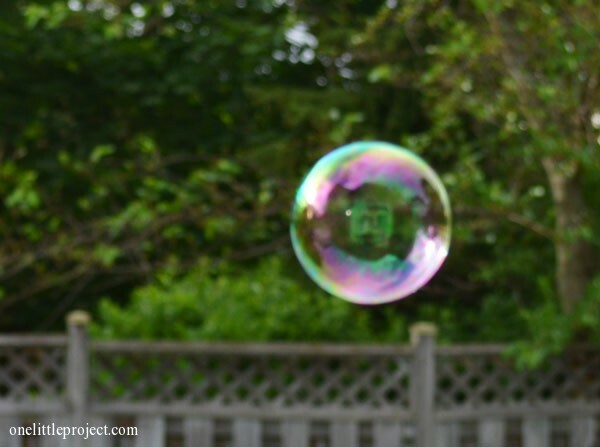 My two year old is obsessed with bubbles, so I will definitely have to give this a try! Thanks for sharing! Great picture. I am pinning this for the future. My baby boy would love this project. I still have some empty bubble bottles. Thank you!